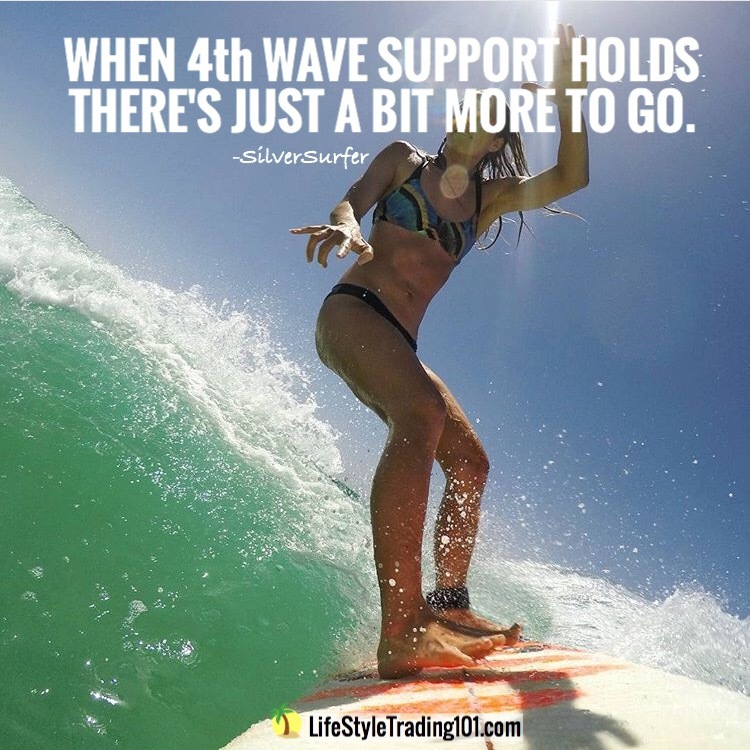 During in impulse up, the 3rd wave can itself be divided into 5 waves — and the 4th wave within that 3rd wave can provide the support zone for the next 4th wave of larger degree. …then, that could be just the A wave of an A-B-C 4th wave retesting into that support zone. In this example, we have an extended 3rd wave with 4th support in the 2082-2088 region. Notice how when we finish the wave 3 up on May 29 and then proceed with the first portion of the 4th wave (wave a) towards the wave 4 support in the 2082-2088 region (2086 was the actual bottom of a). What follows next is what appears to be a 1-2-1-2-3 setup — but that failed 3rd wave becomes the top of the B wave — and then we turn back down to retest support in the C-wave of 4 once again as we did on June 1. Once this C-wave completes, we are likely then beginning the 5th wave up — which itself could subdivide into a big wave 1 up — followed by an a-b-c wave 2 back down to 2086 for one last time before making new highs.